I love baking in mini muffin pans! but your treats also cool faster; which means you can eat them faster!! And Oreo's....OOOOOOOO how I LOVE Oreo's! 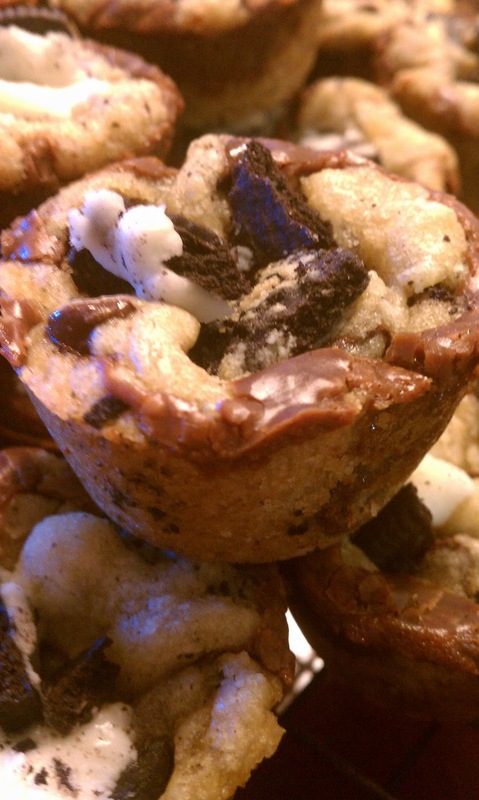 Behold the sweetest cookie cup you will ever meet! 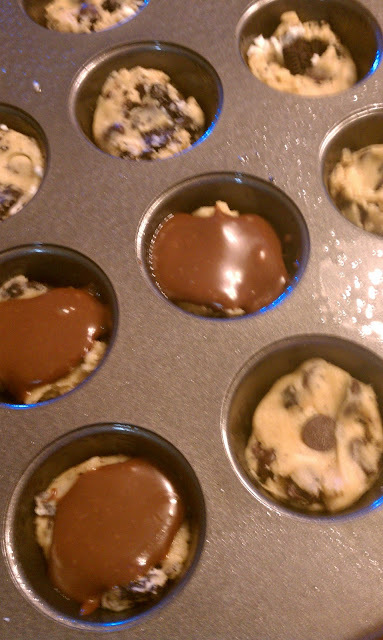 Preheat oven to 350 F (or 325 F if you are using dark baking pans) and spray 1- 24 count mini muffin pan with cooking spray. (Note: this recipe makes approx. 32 cookie cups so you can bake the additional 8 in another pan. Be sure to add a small amount of water to the empty cups). Place butter and sugars into a large bowl, mix to combine, at least 2 minutes. Add egg and vanilla, mixing to combine. Add flour, baking soda, salt. 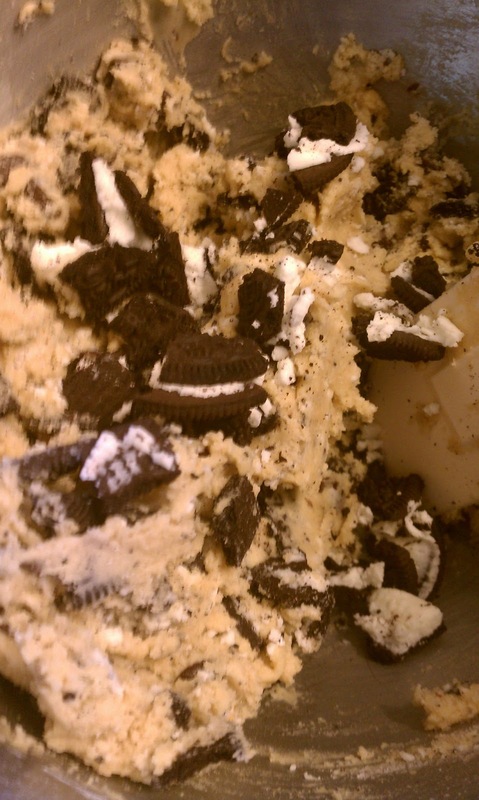 Add chocolate chips and broken Oreo cookie pieces, stirring to combine. Scoop dough with a small cookie scooper and place into the bottom of prepared baking pan and gently press down. In a small pot, melt condensed milk, butter and chocolate chips together; mixing constantly...after melted mix in vanilla. 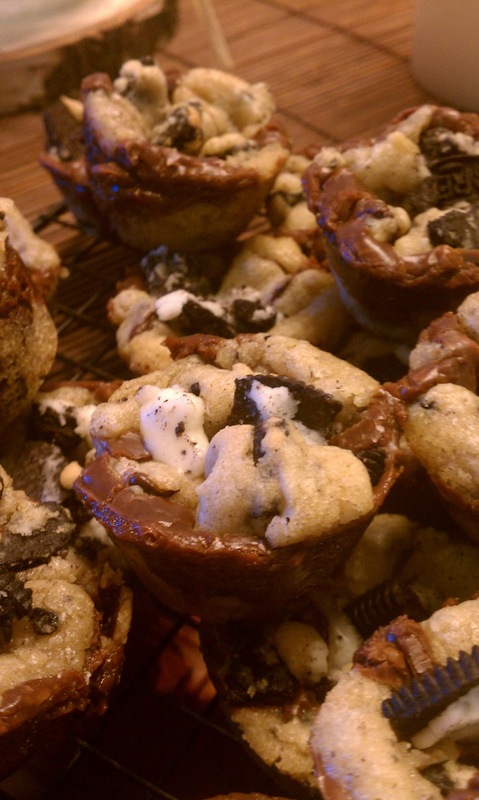 Top each cookie cup with 1 tsp of melted chocolate and then top each cookie cup with additional cookie dough that you crumble on. Do not cover the entire fudge top. Bake for 10 minutes, until golden brown. Cool completely. 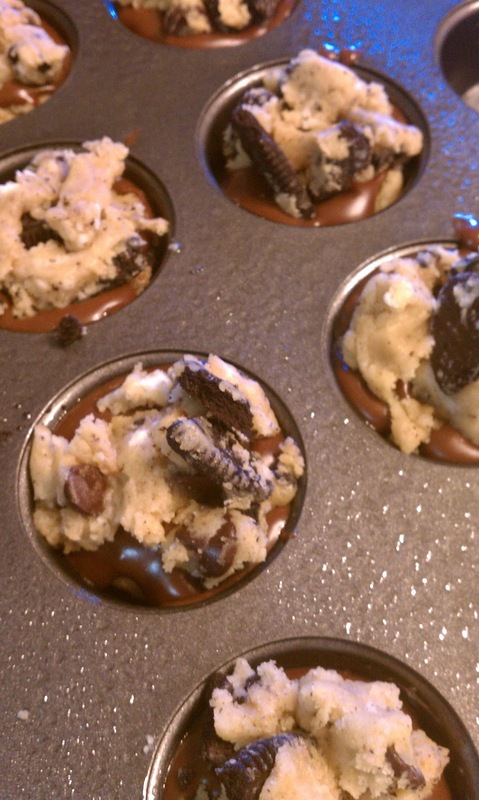 You should be able to twist cookie cups out of the pan, if not use a thin flat knife and loosen up the edges. 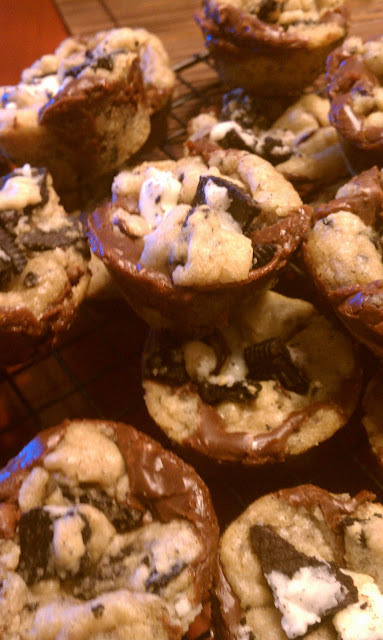 Makes approx 32 cookie cups. Want Miss Melissa to come to your child's next Birthday Party? Check out www.bakingwithmelissa.com for more information. Can these be put into mini cupcake papers? Need to make for afternoon tea in advance. Do they freeze? If not, how long to they keep once made? Hello! Most of the cookie type recipes are best the day of or the day after baking them! :) If you need to make them ahead of time, make sure you let them cool completely and then double bag them and place them in freezer zip block bags before putting them in the freezer! Make sure the bags are fully closed! When you thaw them out...leave them in the sealed bags and let them defrost completely on the counter before opening the bags. ENJOY!! !